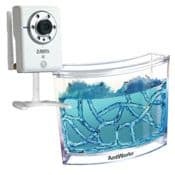 I recently wrote an article on the CCTV Camera Pros blog on how to use an IP camera for time lapse video photography projects. I decided to put the process documented in that article into practice by capturing a small colony of ants build an ant farm / tunnel system in an Antworks space habitat. I used a Zavio IP camera to capture 1280 x 720 resolution snapshots every 3 to 5 minutes. Zavio IP cameras can be configured to capture a JPEG image at a time interval that can be defined in minutes. 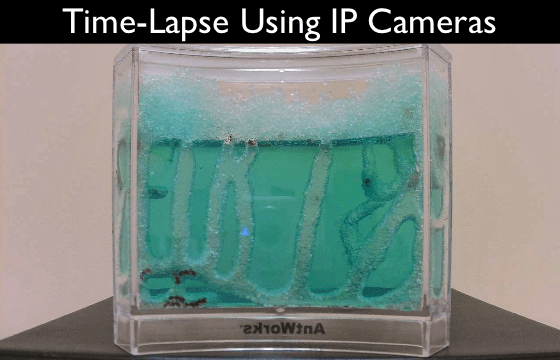 I configured my camera to take a snapshot photo of the ant habitat every 5 minutes and upload the photo to the FTP server on the same web hosting server that is hosting this article (if you are reading it on the videos.cctvcamerapros.com website). This is the complete video that is comprised of 1546 images that were captured by the camera over the course of 4 days. 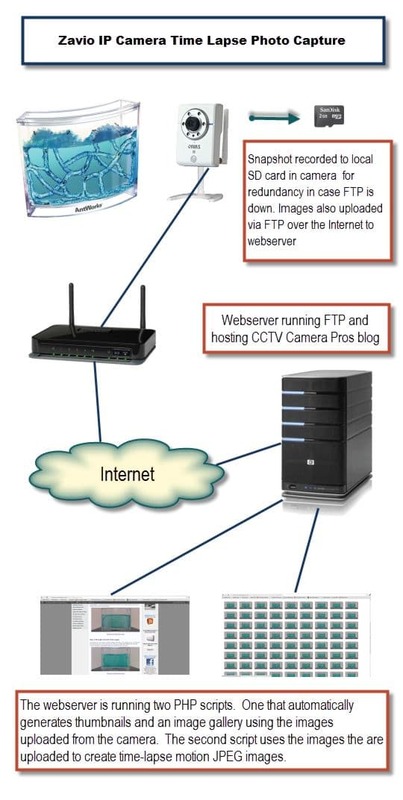 The below network diagram documents how the image capture, upload, processing, and display basically work. If you have any questions, you can contact me here. What is the best license plate recognition camera system?